Your wedding can be a monumentally expensive life event, and one of the most important costs comes from perhaps the smallest items involved in the entire to-do: the rings. Both the engagement ring and wedding band can be pricey items with costs varying widely depending on the type of metal you choose and whether or not you include gemstones (and what their carat size is). Is the engagement ring more expensive? Should it be? What is the cost of the engagement ring vs the wedding ring? How much do you spend on the engagement ring and wedding band? How much should you spend on wedding bands? What is the difference between cheap and expensive wedding bands? Obviously, nobody wants either ring to be too cheap, as they are possibly the wedding expense with the most longevity and return on investment– as most brides and grooms wear their rings every day from the engagement and wedding onward. How do you budget for these rings? What are things to consider when deciding what to buy in each case? And what’s the difference in budgeting for the two? Wedding Band Vs. Engagement Ring: Is the Engagement Ring More Expensive? For the bride, the engagement ring is typically a big-ticket item. Many have dreamed of what their ring might look like their entire lives. So is the engagement ring more expensive? In general, engagement rings are bigger and flashier than their wedding ring counterpart. They typically feature a larger center stone (often, a diamond), and are characterized, for many, by their bling factor. Thus, the engagement ring is generally the more expensive of the two rings. So, how much should you spend on an engagement ring, and what’s the best way to budget for it? Tradition says that the cost of the engagement ring should be equivalent to between two and three months’ salary for the proposer. According to The Knot 2018 Real Weddings Survey, the average amount many couples spend on an engagement ring is more than $5,600! 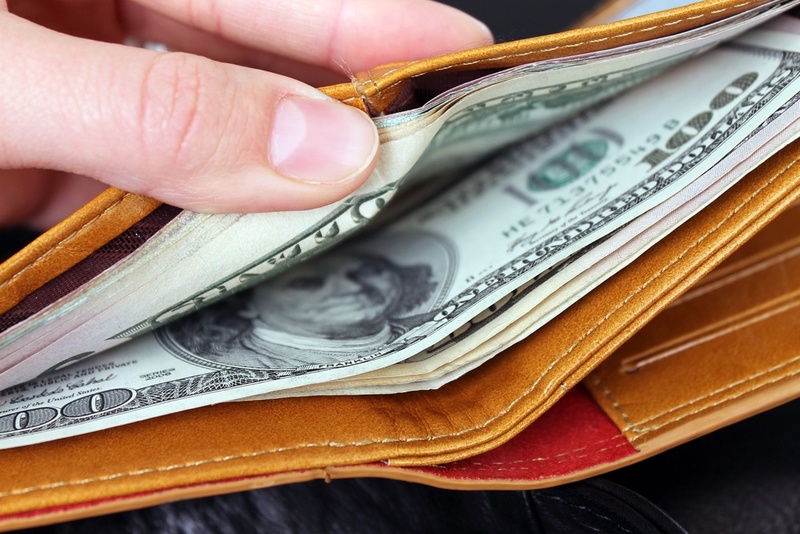 However, if you are someone who is living month-to-month on your salary or already suffering under the burden of significant student loan or credit card debt, this may not be the most feasible or sensible option. Essentially, you shouldn’t pay more for an engagement ring than what is reasonably within your budget. There are many ways to make this work, including choosing a cheaper, but more meaningful custom design with smaller stones or using a vintage ring that holds personal meaning such as a family heirloom. When budgeting for an engagement ring, there is just one thing to keep in mind. The ring should be a meaningful expression of your love and commitment. Above all, it should hold personal meaning to you and your fiance, as something representative of your relationship. As a symbol of true commitment, the ring should not break the bank, but it should at least signify consideration and investment. So, no matter what, the ring will represent an investment in the relationship. This is also why engagement rings are often pricier than their wedding counterparts, as they represent a financial investment in your partner, as well as a romantic one. Your partner will know what you can and cannot afford, so they won’t be expecting you to present something outside of your means, but they might be expecting you to show something that indicates this serious commitment to your future together. Wedding bands are typically the less expensive of the two rings. Frequently, they feature no gemstones, but are merely a plain metal band. Often, the bride’s wedding ring is designed to match and fit with the engagement ring. Since both the bride and groom wear a wedding band, they also frequently match each other. 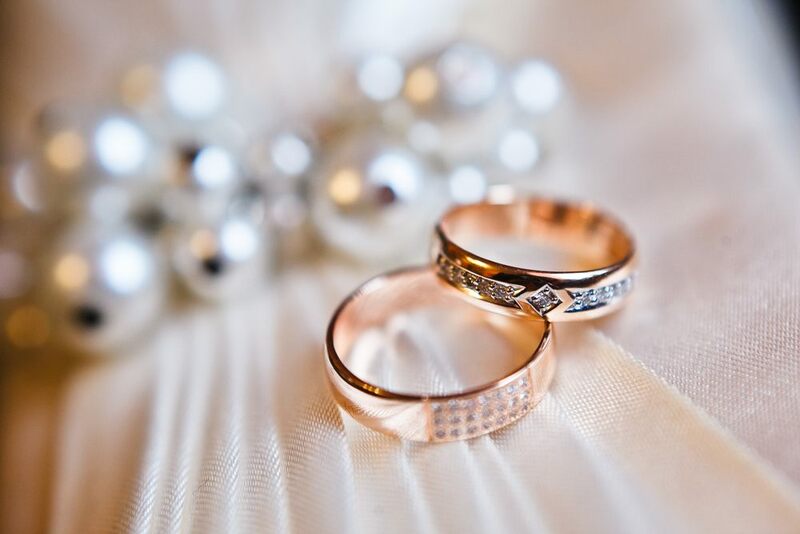 Wedding bands should be selected by couples together as a perfect pair, just like the marriage itself — rather than matching each other or an engagement ring, it’s most important they reflect the two individuals wearing them. How Much Should You Spend on Wedding Bands…in General? There isn’t a simple answer for this, as it depends on your budget and style. A wedding ring could be anything from a plain gold band to a diamond encrusted one — it all depends on what you want to spend. Many couples also select bands with a signature engraving or a special metal that bears some significance to their relationship. The wedding ring is definitely the place to budget — beautiful bands can be purchased for as little as a few hundred dollars (sometimes even less if you hit the right sale). If My Budget is Limited…How Much Should I Spend on a Wedding Band? If you want a fancy wedding band, but can’t afford one, start with a cheaper ring for the ceremony itself and save the more expensive option for an anniversary present down the road. This is a great way to ensure you don’t go over your wedding budget and it also helps with a built in gift idea for later. Ultimately, both rings should be an expression of your love, as well as your personal taste and style. This, more than the expense, is what matters. Still, the engagement ring and wedding bands are an investment, both an emotional one in your partner and a financial one in the ring itself. We should always protect our investments, so in addition to budgeting for the ring itself, be sure to have money to put towards insuring them. Jewelry insurance is often available as a rider on homeowner or renter’s insurance. Be sure to get your ring appraised so that it is insured for the proper amount (there’s nothing worse than paying into insurance only to discover it doesn’t cover the cost of the ring). You will also want to return for reappraisal over the years to have the cost of jewelry, metal, etc. re-evaluated over time as such things fluctuate. Some insurance policies require you to update the appraisal every few years. No matter what, you should weigh the risk and potential cost, and be sure to protect your investment. You’re making a promise to protect and honor your spouse — shouldn’t you do the same for the physical, and expensive, representations of your romance? 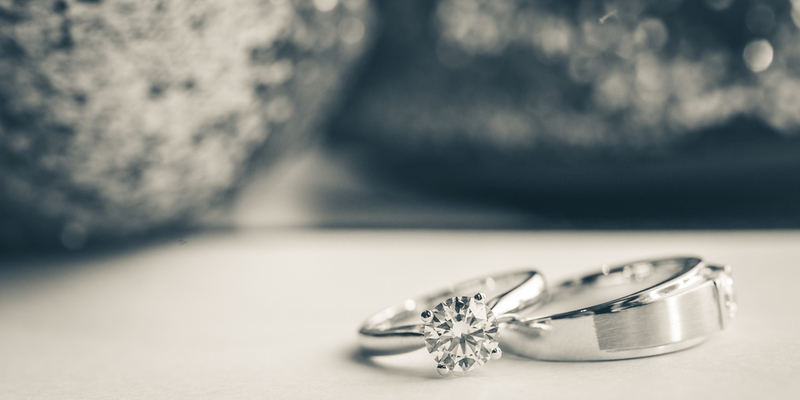 With a little planning and a clear understanding of your partner, you can get the perfect set of engagement and wedding rings for your wedding. Explore online resources to get the best deal and find a diamond and jewelry expert that will help you with your decision.